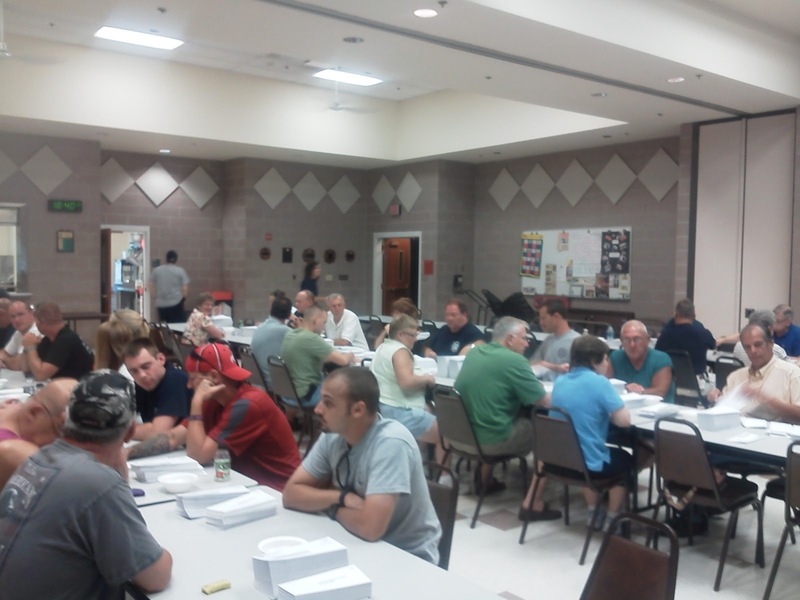 Firefighters, Exempts, Ladies Auxiliary, and even family members of the fire company sat down last night to re-stuff envelopes for the annual volunteer fire company's fund drive. To date of the 11,500 that were sent out only 12-15 percent were returned. 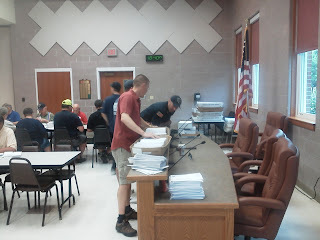 Volunteers sat down and re-stuffed in upwards of 9,000 envelopes again asking for support to carry the local volunteer fire company through the next year. Money collected is used towards tools, uniforms, and supplies that keep the fire company working both on the fire ground and internally at the station. As you'll note on the return envelopes the money goes directly to the bank and does not come back to the fire station. That way the money is directly transferred over quickly and easily. We'd like to apologize to anyone who did donate and did accidentally get a 2nd notice as you should not have. Every now and then an address will get missed in the reprint data base OR if you donated directly by dropping a check off at one of the three stations your address isn't entered in the data base via the unique bar code on the return envelope and paperwork. We sincerely appreciate everybody who has donated from those who gave what they could to those who went well above and beyond generously. Again this is a volunteer driven agency, when you dial 911 for a fire related emergency, 70 local residents of Penfield are paged out to respond 24 hours 7 days a week. Volunteers leave work, their homes, their families behind to mitigate a problem and try to make a positive difference in somebody else's life. Why? That's just what firefighters do.